Lately, gaming on Linux is going from strength to strength, and that will be further bolstered by Valve throwing its weight behind virtual reality for the platform, with the launch of SteamVR for Linux. This is a beta version of SteamVR that will allow developers to begin working on VR games that Linux users can eventually enjoy with their HTC Vive (complete with room-scale tracking) – and hopefully in the future, other headsets (when they support Linux, too). The beta release is built on the Vulkan API, Valve notes, so will require an Nvidia beta driver. There’s AMD support as well, but devs will need a "pre-release version of the radv driver." As you’d expect with an initial release, not everything works either, such as base station power management. This is still early days, but at least development can kick-off now. What’s really a more important consideration with this move is the future, and how Valve is getting increasingly serious about pushing hard with gaming on Linux. Of course, it’s in the company’s best interests to do so, given that its Steam Machines are powered by SteamOS which is based on Linux (Debian). As we already mentioned, more big-name games are coming out for Linux and being offered for sale on Steam – the latest being Hitman (with DiRT Rally due at the start of next month). Of course, Linux aside, VR itself is a niche affair, thanks to the cost of headsets like the Vive. 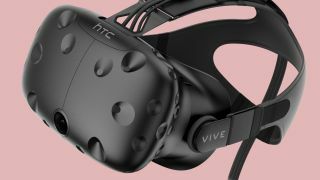 However, Valve clearly believes that virtual reality is an important aspect of the future of gaming – hence the firm’s recent announcement of three "full-on" VR games which are under development. So which are the best VR games out there, anyway?